EasyPlan Wizard:The EasyPlan Wizard provides step-by-step guidance and asks you simple questions to guide you through the process of producing a complete business plan. Based on your answers, the EasyPlan Wizard selects the plan outline that is right for your business. Develop a Strategy:Business Plan Pro helps you identify keys to success and define your market. Expert guidance at every step provides the tools you need to make critical business decisions. Detailed Instructions and Examples:Every step includes in-depth instructions and multiple examples from real business plans. Wizard-driven Financials:Make sure your numbers work. Every financial table includes a built-in wizard to guide you through the process of creating solid business numbers. Row-by-Row Spreadsheet Help:You can't get stuck with the automatic row-by-row help system. It provides advice, information, and answers for every step of every spreadsheet. No template can give you that level of assistance. Tim Berry, the Wizard Behind the EasyPlan Wizard:Business planning expert Tim Berry is the author of Business Plan Pro. Use his experience to your advantage. 400+ Complete Sample Business Plans:Avoid writer's block with over 400 sample business plans. Use them for inspiration and research. Import sample plans directly into your own plan. 2 Business Books Included:Learn the fundamentals of business planning and marketing planning with the two books by Tim Berry, included with your software. Legal Tools & Business Reference Library:Get the ins and outs of small business legal issues and learn how to choose a legal structure for your business. So, I wanted some software help in writing my very first ever business plan. This one came highly recommended from reviews here, and elsewhere. So I bought a copy. Guess what? Won't install. Get "Error 1935". I click on 'Contact Us' from the installer. Tech Support? It's a toll call-- no 800 number. So I go to the web page. Track down an article on this problem. The Fix? About an hour's worth of manual labor on my part that *might* fix it-- Palo Alto Software would really like to hear from me if it works. Not likely. This is being returned today. 1 star for putting a product on the floor that won't install, and then offering a fix that requires 21 manual steps, including a diagnostic boot in Windows XP. I'll just write up my business plan in Word, thank you very much. I used this software to create a handbook for the company where I am employed. I'm always pressed for time, and Policies Now was simple and quick. I created an entire handbook in no time. I receive email updates on changing HR laws from Knowlegde Point, which is helpful. The software also allows you to create your own inclusions that apply specifically to your own business. The user can create the handbook as HTML, text, or a Word document, which is great. Overall, I was very satisfied. NEW! Office Smart Tags - Integrate key Membership Plus data directly into your Office documents without running Membership Plus! View and insert membership/visitor data, meeting/organization information, and payees and accounting information! NEW! E-mail Reports - Automate your member reports through e-mail! Include attachments and choose from a variety of formats including HTML, PDF, RTF, Excel and more! NEW! Report Archiving - Archive all of your printed reports/data for instant recall! All prior report runs are available for viewing, comparing, or auditing! NEW! SQL- Enhanced! - Power users can now run any SQL commands against key Membership Plus tables/data sets! Print Reports such as rent rolls, Profit and loss statements and more! Print Invoices! Send Next Period Invoices to tenants and set your own logo.Printing Invoices is a snap! Membership Plus® Standard includes 4 full-featured modules. Each is designed to organize and manage your church or organization. 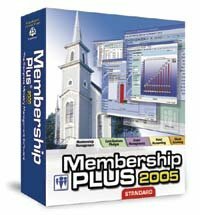 Membership Plus is an easy-to-use database program that will assist you in managing your member information, organizing, and growing your organization. With powerful features, Membership Plus 8 Deluxe puts you in the driver seat. Membership Module: Keep track of an unlimited number of members, multiple addresses, phone numbers, e-mail addresses, Social Security numbers, birthdays, photos, employers, and other personal data with customizable fields! Group Module: Organize your members into an unlimited number of groups using the Group Module. Track attendance for any group and produce reports that help you target lagging attendance and write visitor follow-up letters. Meetings Module: Take attendance and record member involvement within your church with the Meetings Module. Users of the Deluxe edition can easily export meetings to the Calendar Module with just a few clicks of the mouse. Contributions and Pledges Module: Record contributions, applying them to as many funds as you choose to create; Generate the deposit slips for the contributions you've entered. Truthfully, you've been actively "planning" your business for months. You know your objectives and have a very clear picture of how you'll attain them. Still, the prospect of committing that plan to writing seems more daunting than any of the real business challenges that lie ahead. 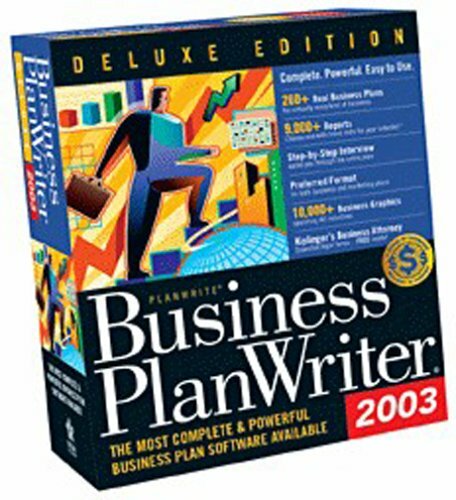 Well, the entire process has just become a whole lot easier with Business Plan Writer Deluxe for 2004. This version combines powerful new features with proven techniques to cast your vision in terms that bankers and prospective investors understand and expect. By answering a series of questions in an "interview format", you'll be able to express your ideas cohesively and concisely - and win the praise and support of your readers. Business planning guidebook, The Winning Business Plan included. Walks you through the planning process. Hundreds of sample business plans. Import financial data from QuickBooks Pro and Microsoft Excel. 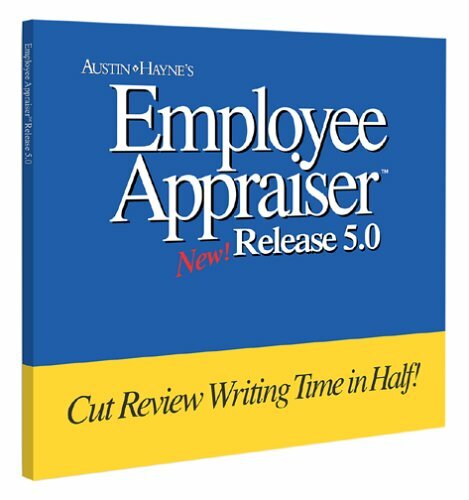 Includes Kiplinger's Business Attorney with 75+ essential legal documents. Brand new in factory sealed retail jewel case. Fast shipping. The last reviewer was correct in saying there's something fishy about the other reviews, especially those written by Burke Franklin. He gives all the products from JIAN 5 stars. Could it be because they published his book? (See "Business Blackbelt," by, you guessed it, Burke Franklin) As far as BizPlan 8 is concerned, it's okay if you happen to have a business that resembles their sample plans, but if you have a unique product or service, it's only marginally beneficial. I am suspicious of most of the 8 users who wrote the reviews.I bought this product and it is not user friendly.It seems to be WORD, with categories for a business plan and types of business plans and a book on writing business plans. I am planning on returning it ASAP.When I looked at the written recommendations that were part of my decision to purchase this item, they are all written on one date and seem to be from one person!All of them with similar titles, ie, "software user from "city" and thecomments are all great.I think this might have been a promotion- GASP!Only one author of a review sounds like a real person and he rated it low.I too feel burned and will return this software and try another approach. As Manager of Corporate Market Research for Hughes Aircraft, I've found that BizPlanBuilder is an invaluable resource, taking prodigious volumes of input from globally dispersed field marketers and crafting workable business plans in astonishingly short periods of time. BizPlanBuilder is a must for anyone working to coalesce the thinking of multinational business teams! 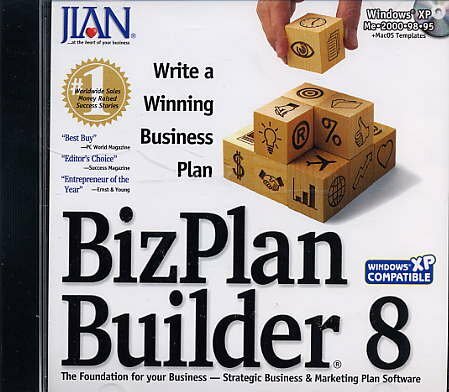 I've purchased more than 115 copies of BizPlanBuilder over the years... and I give them to clients! That way I get a great plan we can quickly get funded. 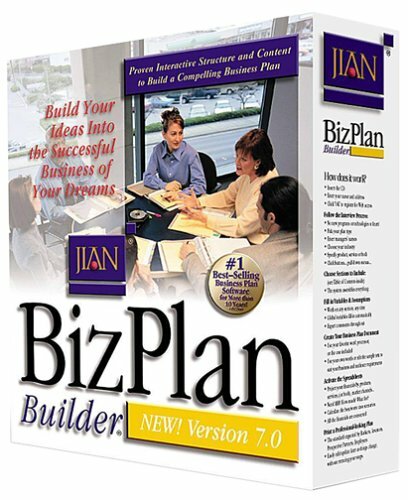 The most popular--and formidable--product in Jian's well-tested "Toolsfor Sales" portfolio, BizPlan Builder is an excellent, step-by-step,instant-business-plan package. 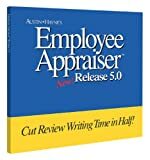 Making its first appearance in 1995 as version 5.0, thisapplication should prove to be a valuable investment, whether you're adaydreaming entrepreneur or a decorated veteran. PC users will be especially happy with version 7.0, which includes aninteractive interviewing tool that fills out the various parts of your businessplan for you. Mac users will have to content themselves with document templatesthat can be used with Word, Works, and Excel. However, the program does provideover 20 new forms, featuring everything from loan proposal summary letters towell-designed articles of incorporation and a due diligence checklist. Even without the PC-based interview, BizPlan Builder provides reams of guidanceand technical know-how as well as straightforward sample docs. Better yet, thethick manual that comes with BizPlan Builder is not just for troubleshooting theapplication, it's also for troubleshooting your business plan itself. From theinitial Top 20 Questions that prepare you to be grilled by investors, toinformation-packed appendices with tips on finding funding and presenting yourbusiness plan, this handbook represents the distillation of shelf-loads of otherbusiness publications. While computers still can't come up with winning business ideas on theirown, they have become essential tools for turning ideas into profits. 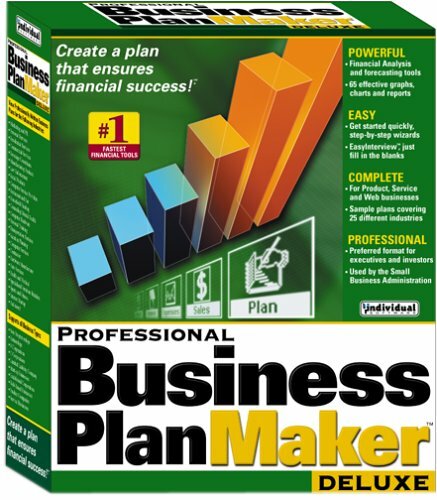 BusinessPlan Pro 2002 helps beginners and old hands alike devise professional-lookingplans that show banks and investors exactly what they want to see: profitabilityestimates, cash flow, market analysis, and more. Installation is simple, andthe wizard-driven interface makes the process almost childishly easy, so theresults are even more impressive. Of course, some details aren't forkids--financial information can be imported from popular software like Quicken,the plan and its details can be posted online, and the advice offered forparticular business operations can be very precise. Though a few may find itannoying, the software does expect a certain amount of Web and online savvy; oneof the four supplementary books it offers is only available on the Net, forexample. Still, even complete novices can create impressive plans--or find thattheir ideas might need some substantial tweaking in order to eke out a profit. Advanced users might find the sample plans interesting, but are more likely todrool over the thousands of possible reports, the error-checking tool, thefunding search, and the wealth of additional resources. I started my business in 2002 and needed a business plan. I didn't know where to start. The bank said that an accountant needed to review the figures and projections. Geez! I am in a service business and whereas an accountant may know the numbers, they didn't know the business. My accountant said that I should write the plan and let him go over it. Yeah..right! SO I searched the Internet and came across this software. Gosh, just $99.00 bucks to secure my future obtain a business loan and get started. Seemed a fair deal, so I ordered the software and some books as well on writing a business plan. The books said it might take a couple of months to write a proper plan to present to investors and convince them. The software said it would produce a winning plan. Ok, time to get started. Ahh.. They had sample business plans that one could look at. Nice! Well, I followed the instructions and got started. It took a couple of weeks of editing but at the end there it was. Nicely generated plan, indexed, pages numbered nicely double-spaced. A truly professional and legal looking plan which I proudly presented to my accountant.He said, this is a lot, it is even more that they need and you will have no problems with the bank. Needless to say I wanted to believe him. Then the day came and I presented my plan to three separate banks and waited...and waited...and waited...Then the first bank called, apologetic. My plan was so comprehensive it took them more time than usual to go through but..it was approved! They would offer 50% financing. Then the second bank called.. Approved!They would offer 90% financing. The third bank called.. needed more time, they had NEVER seen such a comprehensive and well written business plan..needed another week to fully digest it. Then they called about two weeks later. They wanted my accountant and I to meet with the Manager. They wanted a few things explained. This did not look good! There were a few figures they could not understand how they were generated. My accountant explained that the numbers were generated in a computer program, Business Plan Pro and he had gone over it and it was using a different recording method to what they were accustomed. [ It was all accountant talk that I have summarized]. All smiles! APPROVED! 100% financing. Needless to say, you know which bank I went with in the end! Thanks business plan pro. I can truly say that this software was worth every penny and I heartily endorse it! 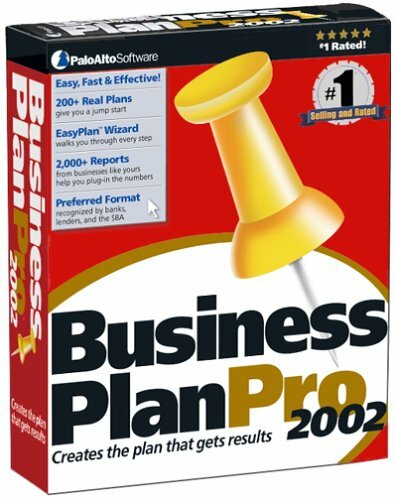 I needed to write a business plan, but didn't really want to, and didn't know where to start.Business Plan Pro was recommended to me, and was the best investment I've made in a long time.The software really helped me to understand what a business plan was all about and to get organized and get it done. It wasn't as hard as I thought! I've been struggling with getting my new business off the ground, and then a friend recommended this software. I am not a business person and have no head for financials, but this software made me feel confident that what I was producing was a complete and professional plan. I haven't received the official word about my loan, but the officer who I met with was extremely impressed. I was too! I didn't think it would be this easy! I had no time left to write a business plan and little experience putting one together.On a suggestion from a friend I ordered the Business Plan Pro software and started it up.Imagine my relief when the software literally walked me through the entire process!! I put together a basic plan, and wrote it over the span of 3 lunch hours. Easy to understand process, outstanding resource help, great customer service and a tech service department that didn't make me feel like I was asking stupid questions. I would recommend this product to anyone who needs a helping hand in writing, but doesn't have the money to spend on an expensive consultant. Create a clear, compelling demonstration of your vision. 88 Exclusive Tools. New plan preparation tools. New presentation tools. New easy-to-use interface. In today's legal environment, you're risking your business if you fail to keep accurate personnel records or document actions such as hiring, promotions, reviews, and termination. If you don't have an HR staff, you need People Manager. People Manager makes it easy to handle routine employee-management tasks. It's quick, convenient, easy to use, and intuitive to learn, so you spend less time worrying about whether you're doing things right. I bought this program to track employee time off.The program is very limited in how you can set up the vacation, sick time and personal time off.You have to use either an anniversary date set up or a year end set up for all the time off.My company uses anniversary date for vacations and year end for sick & personal time off.There is no provision for added vacation for longtime employees either with this program.In the set up all employees receive the same amount of vacation... there is no way to set it up to accrue more vacation after 3 years of employment.This program was a waste of money for me.I ordered it primarily to help me track employee time off and accrual and it does neither. 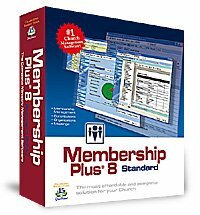 Membership Plus® Deluxe includes 10 full-featured modules designed to organize and manage your church or organization. 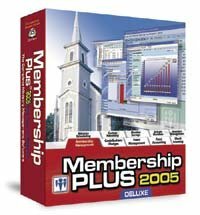 Membership Plus is an easy-to-use database program that will assist you in managing your member information, organizing, and growing your organization. With powerful features, Membership Plus 8 Deluxe puts you in the driver seat. MoneyCounts Fund Accounting Software: Complete Fund Accounting including easy-to-use GL, Chart of Accounts management, register transactions, check writing, budgeting, reconciliation/balancing. With over 40 financial reports, charts, and graphs including Income Statement, Balance Sheet, Trial Balance, Cash Flow, Chart of Accounts, and more!